Web marketing is so completely different than print marketing, it practically uses its own language. This language can be confusing and complicated, but it’s an important part of understanding the practices and procedures used by online content marketers. These terms are also important because they can reduce confusion for marketers, affiliates, publishers and advertisers. Using the terms correctly is an important part of establishing an online marketing campaign that is successful. The incorrect use of these terms could cause confusion and even a loss of revenue. The following terms are some of the most vital terms that marketing professionals must understand before entering an agreement with publishers, affiliates and advertisers. Abandonment: When a customer places a product or service into the shopping cart but then abandons the items in the cart without going through with the purchase. This can be corrected through certain types of marketing called redirection that allow a customer’s abandoned cart to “follow” the customer around the internet. Above the Fold: The section of a homepage, blog or online content that the viewer can see on one page. It used to refer to the top section of a newspaper before the internet existed. All pertinent information should be above the fold on a website, so the viewer doesn’t need to scroll down. Action: The event on a website that happens that leads to an eventual sale on the affiliate’s website. This can be the clicking of a link, a redirection or the sale of the final product. Action Lifecycle: The cycle of events that happen to make an eventual sale possible. This is the full amount of time that transactions may be corrected. After this time, the transaction cannot be corrected. The typical action life-cycle is between one and four weeks. Action Referral Period: The amount of time that cookies remain active in order for a website to take credit for a purchase through an affiliate. This time period may vary from affiliate to affiliate, but it usually is valid for one week to four weeks. Active Publisher: An affiliate account through which there is activity. The active publisher account goes active as soon as a website has completed an action that results in a sales transaction between the website and the affiliate. Ad Blocker: A type of software that was designed to block pop-up ads from popping up on a visitor’s web browser. This type of software can allow a visitor to choose which ads he or she wants to see or allows the user to choose to see none at all. Ad Display: This is the term that is used when an ad is successfully displayed on a visitor’s browser without the interference from ad blockers. Ad Stream: When several ads are shown to a visitor, this is the stream of ads that the visitor will see throughout the completion of the time on one specific website. These ads could be for the same company, a redirection or for various companies. Advertiser: The company that wants to sell a product to the visitor of the website. This is the company that places the ad on a website or through an affiliate program. They want to promote their services or products, so they pay a site or a program to place specific ads for said products and services. Advertiser CID: This is the company ID that is used for the advertiser’s and website or affiliate network’s purposes. It is used to distinguish advertisers between each other without using the advertiser’s name. This helps to distinguish the company without added confusion. Advertiser Order Form: The form that is sent to the advertiser when more money needs to be added to the advertiser account in order to keep the account in an active status. This form must be completed before the advertiser can continue to submit ads or run the current ads without suspension. Advertiser Service Agreement: The agreement that the advertiser enters into to place ads on a website or through an affiliate network. This agreement is legally binding and protects the affiliate program, advertiser and the website throughout an ad campaign. Affiliate Agreement: This is an agreement between an affiliate and a website. The agreement should state what types of services the website will sell of the affiliate. The agreement should also state how much the affiliate will pay the website for certain actions. Usually these actions include customer clicks and customer purchases. Affiliate Link: This is a specific type of link or URL that a website places to link to an affiliate. This type of link generally tracks the activity of the user. For example, the link can record how many people click the link, the number of purchases made used via the link and other pertinent information for the affiliate agreement. Affiliate Marketing: Affiliate marketing is a marketing arrangement where an online retailer or service provider pays an external website commission for revenue generated via that website’s traffic. Affiliate Network: Some affiliates and websites use an affiliate network to manage click throughs and customer purchases. The affiliate network keeps track of the agreements, clicks and payments. This makes it easier for both the website and the affiliate to manage payments. Affiliate Program: This is the official term for the program where websites and affiliates enter an agreement to sell links on a website. This agreement can also be known as a partnership or revenue sharing option. Affiliate Solution Provider: A third-party company that connects affiliates with websites. This company may handle everything that both parties might need on a legal and administrative standpoint. This provider often connects companies with websites and vice versa. They might also handle payments and website traffic tracking. They generally also handle the contracts as well. Affinity Marketing: The type of marketing strategy that is used to determine the buying patterns of certain customers. This type of strategy also allows marketing specialists to target specific customers for certain products. Aggregator Site: The specific type of website that’s primarily used to gather third-party information for other websites, companies and services. These types of sites generally gather information via submissions from users. They often use contests and freebies to convince users to divulge this type of information. Alt Tag: The type of tag that is associated with text displayed as a link. This type of tag is generally encoded into the code in the website and isn’t necessarily seen by the viewer on the front-end of the site. Anonymizer: A software designed to block the internet protocol (or IP address) from displaying on the website or browser interface. This generally allows the IP address to be seen within the code of the website but not necessarily to the naked eye on the front-end of the site. Applet: Software application that can be used via a browser to display certain types of graphics and animation. It also allows the site to run database queries that a user might need to request. Application Programming Interface: Otherwise known as an API, the application programming interface allows other services to interact with a website. This is a special format for programming. Archived Link: When an advertiser does not want to use an affiliate link or promote a product or service any longer, this link can be archived to prevent further payments from going through to the website or affiliate provider. Attribution: The method that is used by advertisers and websites to track the sales process. This type of method is considered an analysis method that allows the process to be tracked throughout many channels. The advertiser can then analyze the buyers’ or potential buyers’ habits. Average Order Value: Otherwise known as AOV, this is the metric that is used to determine the purchase average amount. The advertiser takes the total purchase value and divides that number by the number of purchases made on the site in any timeframe. Base Rate: This term refers to the rate that is set by the website or affiliate network that shall be granted to the website in case of a click through or purchase. In other words, it is the commission that is set for each affiliate payable action on a website. Behavioral Targeting: This type of marketing is when advertisers analyze a customer’s shopping, browsing and buying habits over a given time period and offers ads for similar products and services based on the data collected during that period. Beta: The test version of a product, service or software. This phase of a product is generally still within the test phase, yet it is tested with the first round of customers. The customers may or may not pay for the beta version of the product, yet they generally provide some sort of helpful insight into the experience with the product or service. Black Hat: A term used for unethical SEO practices. Any type of unethical SEO practices can be classified as “black hat.” Some examples of black hat practices include keyword stacking, keyword stuffing, using keywords unrelate to a product or spammy blogging techniques. These types of practices could result in negative rankings from Google and other search providers. Blog: The type of website page that is used to generate website traffic. Blogs are website that are updated consistently, use SEO to drive traffic and attract users and encourages interaction between readers and content providers. The term blog is an abbreviation for “web log.” Starting a blog is the easiest way to gain traffic from search engines and rank for a wide range of keywords. Bonus: Any type of monetary compensation that an affiliate provider or advertiser pays to a website to encourage a certain type of behavior. Reasons for a bonus might include hitting certain customer milestones or an excellence in hitting sales goals. Branded Sign-Up: This type of sign up comes in the form of an application that is provided by an advertiser to convince websites to want to publish their content. It is usually seen as a blog post or other type of content on the website that looks more like content than an advertisement. B2B: The term literally means business to business. It refers to any type of business that is conducted between two businesses instead of one business and one customer. The opposite of this would be B2C or business to customer. Charge Back: When a customer makes a purchase but cancels the sale, the money the customer paid is returned to the customer. The affiliate does not need to pay the website for the referral in some cases (this is usually if the agreement states that a sale must be completed for payment). Click Fraud: When a website sells affiliate marketing, the owner enters an agreement with the affiliate. Click fraud is when the website pays someone to make fraudulent clicks to the affiliate’s site; the affiliate thinks the clicks are valid, but the customers are fake. This can be done manually or through black hat software. Click-Through Rate: This rate is the conversion between clicks and customers on a website. It is also referred to as CTR. This conversion shows how many customers click versus customers that simply read the content on a website. Click Fraud: Sometimes the websites that enter into affiliate agreements aren’t the most honest. Click fraud is when clicks are generated on a website that aren’t performed by real customers. A website might ask or pay people (who are not customers) to click on certain links to make money on those clicks. The website might also use a computer program to do this instead of employing real people to physically click each link. Click-Through: The metric that is used to determine how many users click on a given link. This usually refers to when a user opens a website page. Many companies use this metric to decide on a price per click for affiliates. Commission: This is the amount of money that is agreed upon between the website and the affiliate that the affiliate will pay the website for each action. This amount is generally per click or per sale but is almost always agreed upon before the contract has been drawn up. Commission Rate: The amount that is agreed upon for a sale or action between the affiliate and the website before signing a contract. Conversion Rate: Also known as CR, the conversion rate is the number of clicks that result in a sale divided by the number of clicks on a link. This tells the affiliate how many people are interested in clicking and how many people are interested in buying. Cookie: This is a type of software that is used throughout the internet. It tracks the users who visit certain sites and pages. It tracks the actions that each user makes on every page. Some actions might include link clicks, the time spent on each site and the products that interest each user. Many websites need user agreements that state that each user understands that cookies may be placed in the browser to track the movements on the site. Cookies also allow websites and affiliates to track who to credit for a purchase made on a site on any given time. Cookie Expiration: The time that each cookie is placed on a user’s browser. All cookies have some sort of expiration date. Most cookies have expiration dates that last between 30 and 90 days. Some cookies have expiration dates that last less than 30 days. These expiration dates might change the amount of a payout to a website from an affiliate. If a cookie expires, the website won’t receive a credit for the purchase (even if the user found the affiliate through the original website). Cookie Stuffing: A black hat practice that is frowned upon by nearly all affiliate networks and programs. These cookies give the illusion that a user has made its way to a merchant’s site by way of the affiliate link. Even if the user has never clicked the affiliate link, the website might be credited for the sale. Marketing solution that is available online that can help advertisers, affiliate programs and websites track transactions on a website. Many affiliates use this to analyze what websites and pages result in the most conversions and sales. Correction: When a sale is made that is not itemized, the affiliate may need to have the amount of money owed to a website corrected. This is generally completed by itemizing the sale to determine the exact amount of money owed. Cost Per Action: Also known as CPA, the cost per every action taken on a certain website. Some affiliates pay websites for actions that do not result in sales. This makes it extremely important to record each action a user makes on a website. Cost Per Click: Also known as CPC, this is the cost that is paid to a website when a user clicks on an ad. Google uses this metric to determine the amount of money that affiliates will pay for each click on a paid keyword or paid link. Cost Per Lead: Also known as CPL, this is where the affiliate pays a website for each lead that the website directs to the affiliate. Some examples of leads can include customer private information, email addresses, demographics, phone numbers and other contact information. Cost Per Order: Also known as CPO, is a metric that determines how much each order costs. This is done by dividing the total number of orders by the cost of placing an ad or paying a website for a link. Cost Per Sale: Also known as CPS, is the same as CPO except it determines the cost of the sale instead of the cost of the order. Cost-Per-Thousand Impressions: Also known as CPM, this is a commission method that is used in advertising. Generally, a traditional advertiser pays a publication a certain amount of money for every one-thousand impressions that users will see. Some advertisers and publishers also refer to this as CPM (or cost-per-mile). Creative: Marketing materials used by advertisers and affiliates on website and other media. Data Transfer: This is the type of transfer of data that is performed by an advertiser for any type of correction that the website or affiliate program needs for their records. Database: A large body of information that is sorted and organized to ensure easy reference. Decline: When an advertiser or affiliate does not accept an application from a website or publisher, this results in a decline of the agreement or application. Deep Link: This type of link refers to a hyperlink that points to a specific website or content on a site. It points to content that is not the website’s homepage itself but rather is linked somewhere else on the site. This is also known in the web world as a direct link. Default URL: This is the target URL of the affiliate. When a user clicks on a link on a website, the user is taken to the default URL that the affiliate wants the user to view. Down Tracking: This is a tracking irregularity. These irregularities can be found on a publisher’s website or on the affiliate’s website. Either way, it is important to catch these irregularities as soon as possible to avoid breach in a contract or missing out on payments that are due from the affiliate. Drop-Down: When a user clicks on a field that points to more menu choices, the user clicks on what is referred to as a drop-down box. The box literally “drops down” more fields that the user can choose from. This helps with clean navigation within a site. Dynamic Link: Links can contain a variety of elements. The dynamic link is one that contains several elements and includes rich media. This type of link allows advertisers and affiliates to change the content and direction of a link in real-time. Earnings: The amount of money that a website publisher will make based on the contract, the agreed upon pay per click amount and the number of actions taken by various users. These are generally calculated on a monthly basis or quarterly basis. E-Commerce: A term that refers to sales made in an online store or through a virtual store. Any sales transaction that is made online. Effective Clicks: A term that refers to the amount of times that a user goes to an affiliate site and doesn’t click on an ad. The user doesn’t need to click on the ad itself to want to visit the site. Yet the ad was what made the user want to visit the site in the first place. Electronic Funds Transfer: Any transfer of funds, money and currency through an electronic platform. Email Campaign: A marketing campaign that either targets users through email or is designed to capture more email addresses. Engagement Time: The amount of time that a customer remains engaged on any given website. Factors that can increase engagement include videos, text, quizzes, contests and chat rooms. Anything that forces a user to stay active on the site can increase engagement time. Event Date: Any date that a transaction happens on a website or platform. This date is recorded and used for payment, data analysis and processing. Expire: The term that is used for when an affiliate or advertiser chooses to end a relationship with a publisher or vice versa. Field: Any block or box of text. This could include drop-down fields, blank fields or multiple-choice fields. This generally refers to any area on a site where a user is forced to interact or to fill in information. First Click: When a user makes a purchase from an affiliate or advertiser but doesn’t make the purchase in the first click. If the first click is made on a website in which the affiliate has entered an agreement, the website receives credit for that click anyway and is still paid. Frequency: The number of times an ad is shown to a user in any given time frame. This is used to help determine if the ads are relevant or effective. If a user isn’t clicking on an ad, the ad might not pertain to the user, or the ad might not be very effective. Either way, the advertiser or affiliate generally will make adjustments. Geo-Targeting: The term that refers to when a publisher, affiliate or advertiser targets a certan geographical location for advertisements. These types of ads are often used by large corporations to target specific locations. For example, an advertiser might run different ads in New York City than they would run in the Pacific Northwest. Many advertisers often sell completely different products in different geographical locations. Homepage: The landing page that acts as the calling card or “face” of a website. All pages in a site are linked off of the homepage in one form or another. Ideally, most websites would want their homepage accessible from every other page (especially if other pages are linked through affiliate networking and promotions). This way, a user can click on the homepage to access all other information, services and products of a website. HTML: This stands for hyper test markup language. This is the code or language that is used to create websites for the internet. The code is seen by users on a web browser interface. Tis type of code displays text and is the language that links to other pages on a website and on the internet. HTTP: Otherwise known as hyper text transfer protocol, HTTP is how hypertext files are displayed on the internet. This is the text that is inserted in a web browser before the website (starting with www.). HTTPS is the secure version of this hyper text transfer protocol. It is often used when credit card information is expected to be shared over the internet to keep said information safe from hackers. Image Pixel: The smallest dots that make up an image in a photo. The number of pixels denotes the size of the overall photo and how large the photo file is. Many publishers use this number to denote the quality of the photo on the web page; the more pixels and the larger the photo, the more space the photo will use. Image Size: The number of pixels in any given image. This size is generally the number of pixels in an image’s height and width. For example, an image that is 1,500 by 2,000 will have a height of 1,500 pixels and a width of 2,000 pixels. Impression: The term that refers to the amount of time a user sees a link in a browser. Of course, the software can’t determine if the viewer actually sees the link; it can only determine if the link has shown up in a browser. Increased Commission Rate: The rate of commission that is paid out to the publisher for incentives. These incentives may include increased sales, increased actions or other favorable actions deemed by the affiliate and publisher in the contract. Increased Payout: When an affiliate offers a publisher an enhanced commission to drive up milestone goals as mentioned above (see increased commission rate). Integration Methods: The integration of the link into a publisher’s website. There are several methods that most publishers choose to integrate links into their sites. Some of these may include, standard links, gateway links and redirect links. Item-Based Commissions: Some affiliates and publishers agree on specific commission rates for certain services. For these types of agreements, the publishers and affiliates need item-based commission rates. These are generally specific rates set for specific links on a publisher’s page. When a customer clicks on different links, the affiliate will pay the publisher the set price for that specific link. Many publishers often try to set these at a higher visibility level because of the higher price points. JPG: The type of image that most websites utilize. This type of image is saved in a compressed format that allows the photo to take up less memory and space on the site’s database. Read more on Image Types. Keyword: A word that is place in a website to increase visibility of the site. Keywords allow users to find the site and content based on searches of these words. When a user inputs a search term into a search bar, the words in this term are generally referred to as keywords. Keyword Links: Links that contain keywords. These are generally used by Google and other search marketing companies. Publishers pay search marketing companies to promote keywords on their sites. Each time a user clicks on the link, the publisher must pay the promoter a set fee agreed upon beforehand. Landing Page: A simple website that is one page. Many companies use these types of websites as “calling cards” or “business cards.” Sometimes new websites will use landing pages to let users know that the site is in the production process and will be live soon. Last Click: This type of click is the antithesis of the first click. A publisher can also receive payment for last clicks that drive users to a website to purchase a product. Even if that publisher did not create the “first click,” that publisher can still receive revenue for being the one to “force” the sale into action. Lead: The action that jumpstarts a user into giving up certain information. This is generally personal information. Leads might include email addresses, phone numbers or physical addresses. This type of information allows companies to contact users and market their services to them. Lifetime Value: Also referred to as LTV, this term refers to the amount of money that one customer will spend in a lifetime on an affiliate’s site. Link: An icon, bit of text or other clickable area of a website that serves as a doorway or a portal to another website or page. Link Code: The code that a developer or publisher must create that serves as the address to another page or site. This code generally contains bits of rich information about the contract between the affiliate and the publisher. Listing: The name for an ad on a website or search engine page. Just as an advertiser might put a listing in a newspaper or magazine, the advertiser’s link or ad is referred to as a listing in an online forum as well. Login: The field in which a user must input his or her username and password to enter a secure section of a website. Logins are generally used for paid sections of a site or secure sections of a site. Minimum EPC: Otherwise known as minimum earnings per click, this term refers to the minimum number of earnings a publisher must obtain before the affiliate or advertiser will payout for a given term. Monthly Active Users: The number of users that visit a website in one month. These users must have taken actions on the site to be considered “active.” Some examples of activity can include clicking on a link, watching a video or taking a quiz. No Corrections: When an affiliate or advertiser deems that no corrections may be made on a report or sale after the sale has been recorded. This means that corrections cannot be made for not itemizing a sale. The total amount on the report is the final amount paid to the publisher. OID: Otherwise known as advertiser’s order ID, this is the number that a publisher assigns an advertiser for verification and identification purposes. This number is generally used on an invoice to identify the advertiser and helps to avoid confusion with other advertisers with similar names. Opt In: When a user decides that he or she wants to “opt in” to something. This can be something as simple as a user agreement, offering up information or choosing to participate in something such as a survey. Sometimes users also need to opt in to allowing websites to place cookies on their browsers. Opt Out: This is the opposite of opting in. If a user decides to opt out, it generally means that he or she does not agree with the predefined terms of a website and does not want to participate in a certain set of actions or activities. Order: When a customer or user makes the initial purchase on the website, this sale is also referred to as an order. Sometimes the customer or user must make payment at the time of the order. Other times payment is decided upon at a later date and time. Organic Search: This is the type of search where a user finds a website without clicking on an advertiser’s link. Organic search is simply the typing in of search terms and keywords to find a product organically. Pay-for-Performance Marketing: A contract between advertiser or affiliate and publisher that pays based on performance milestones rather than on certain sales or actions. Payment Threshold: Before an affiliate or advertiser will pay out a commission, this threshold must be met. Sometimes advertisers use this type of threshold to avoid paying fees to credit card and banks for small amounts of money. The advertiser waits until the publisher has hit a certain dollar amount (for example, $10 or $20 dollars), and the advertiser will then pay out the owed amount. This also acts as an incentive to the publisher to hit higher milestones. Pay-Per-Click: This is a term that is used when an affiliate or advertiser chooses to pay a publisher each time someone clicks on a link—and not when the user makes the sale or purchase. The types of companies that use this most frequently are online publications. Pay-Per-Lead: The type of payment that is remitted to a publisher who delivers leads to advertisers and affiliates. This type of information generally includes email addresses, phone numbers and physical addresses. The affiliate and publisher will determine a set price per lead that the affiliate will pay for this pertinent information. Usually the publisher will obtain this information through contests or giveaways. Pay-Per-Sale: The agreement in which an affiliate or advertiser pays the publisher per sale made rather than per lead or per click. The user needs to make a purchase in order for the publisher to receive payment for the link click. Performance Incentive: This refers to a bonus that is decided upon by the affiliate and publisher in a contract that awards the publisher for reaching certain milestones. It incentivizes the publisher to continue working to make these performance. Pixel 1×1: A small graphic that cannot be seen by the naked eye that is transparent. This graphic is generally input into a link to help track the link and the click performance of each link. Placement: Where a link or ad is placed for maximum viewing efficiency. PNG: Also referred to as a portable network graphic, the PNG is simply an image format. It is similar to a .gif. The biggest difference is that it doesn’t have the same limitations as the .gif. Pop-Under: A more discreet version of the pop-up advertisement. This is when a message or advertisement pops up underneath the main content or on the browser bar. It could also refer to an advertisement that pops under the browser’s window. The user won’t see this advertisement until he or she closes the browser window. This type of ad is slightly less intrusive that the pop-up version. Pop-Up: An advertisement that literally “pops up” when a customer or user takes an action on a website. This type of ad pops up over the websites content (and places itself front and center in the user’s browser). This type of marketing can often be a double-edged sword. On one hand, the user can’t ignore the add; on the other hand, many users simply choose to close the box and ignore the ad altogether. Profile Targeting: This is when a company, advertiser or affiliate targets a specific profile of a person (or demographic). They take information they have gathered about the person and use that information to offer products and services relevant to that person’s profile or interests. Program Category: The category in which an advertiser’s program belongs. This is used by both publishers and advertisers for indexing purposes. Program Terms: The prearranged agreement that both the publisher and advertiser agree and shake upon. This is generally dictated in any legal documents, such as a contract. Promotion: When an advertiser flags a link as promotional, it can be set as a special link for a specific amount of time. This is how publishers know that there is a promotion that is available for a specific advertiser. Publisher: The person or company that publishes a website. The publisher can be a newspaper, magazine blog or other type of online written content. Publisher Accept/Decline Method: The method that the advertiser or affiliate takes to accept or decline a specific publisher from their affiliate programs. Sometimes the criteria for this includes experience, audience or geographical location. Real-Time: The actual reporting time for the publisher and affiliate or advertiser. This happens when there is no lag time or delay in processing or reporting of monies or features on a website. The time it takes for information to travel over the net can affect this time. Redirect Setting: Redirection is when a website administrator sets a link to point to a location that the original link doesn’t point toward. Many administrators use this for banners or link ads. Redirected Image URL: The URL that advertisers or affiliates provide to publishers that directs to the affiliate’s servers instead of the publisher’s servers. Referral Period: The period of time that is set by the publisher and affiliate or advertiser in which the cookies will remain on a user’s browser. This helps to configure fees and payouts to the publisher. Once the cookies expire, the advertiser no longer needs to pay the publisher for referrals. Referring URL: The URL that directed a user or consumer to an affiliate’s or advertiser’s link. This is the exact URL of the page—not of the link that redirected the user to the advertiser’s page. Response: A message that is sent to a user’s browser to alert the user that something has gone wrong with the user’s request. This is generally an error message or pop-up. Return on Investment: Otherwise known as ROI, the return on investment is how much you get in return for the money you’ve spent on something. This can be a product, service, website or generally anything that you spend money on in the advertising world. ROAS: Otherwise known as return on advertising spend. This metric shows how much revenue a link or site can generate based on the amount of money spent on the advertising budget. Ultimately, it shows how much money the advertising for an aspect of the site costs. Sale: The transaction that happens on a website in which a user purchases a good or service and pays for that good or service at the time of action. The sale is generally the exchange of monies or currencies for said goods or services on the website. Search Engine Marketing: The marketing strategy that utilizes search engine optimization or SEO practices to drive users to a site or webpage. This type of marketing occurs when the publisher pays a company (such as Google) to force users to the site in which the publisher has paid for these SEO keyword ads. Search Engine Optimization: The optimization of a website for search engine terms. This is the term that is used for publishers and advertisers who use strategically-placed keywords and paid search terms in a website, ad or blog post to drive traffic to that page. Search Keywords: The keywords that publishers place on their websites to drive traffic to their sites and pages. This is also the same term that is used for the terms, words and phrases that users enter into a search engine search bar to find products, services and information. Search Policy Guidelines: The exact guidelines outlined by the advertiser and publisher that dictate what types of search policies and tactics the publisher is allowed to perform to attract clicks in search engine results. Secondary Language: The advertiser generally needs to publish a website and link in one primary language and as many secondary languages as necessary. The publisher can choose as many secondary languages as necessary. Session Duration: The length in which a user is active on a website. This can include the amount of active and inactive time that the user stays on the site for. Shopper ID: The number that is used to identify a shopper on a website. This helps to remove any confusion between users based on their names, geographic locations and phone numbers. The shopper ID simply tells the advertiser and publisher an identity of the shopper without the confusion of secondary information. Simple Conversion Tracking Integration: This type of integration gives the advertiser more flexibility within the tracking. It allows the advertiser to create sale programs for pay-per-lead transactions and pay-per-sale transactions with various publisher. The functionality is somewhat limited, and it doesn’t allow special commission or itemizations. SKU: Otherwise known as a stock keeping unit, this unit is the unique code that is given to each product. This allows the merchant to keep track of the product and how many units have been sold. It also allows the merchant to determine specific logistics, such as when the product was sold and the popularity of the product. Super Affiliates: The affiliates that generate most of the sales for a particular program. These affiliates generally bring in more than 50% of the total revenue and often bring in up to 80% of total revenue for a program. Bringing in enough super affiliates means that advertisers won’t need to work nearly as hard. Tag: this term refers to a label that is placed on a website for tracking purposes. These elements are in the HTML or XML code. Publishers can define these tags by using angle brackets. Term Name: The name that an advertiser uses for the terms of a specific program. Text Link: The link that is attached to any piece of text on a publisher’s website. Time-Delay Model: Another type of accreditation model for publishers, affiliates and advertisers. This gives an affiliate more credit for actions that are taken closer to the time of the sale of the product than first-click acitons. Tracking Code: Every time an affiliate link is attached to a webpage and merchant it has a unique tracking code that allows the affiliate and merchant to distinguish the code from other codes. It is generally tied to a specific affiliate to avoid confusion. Tracking Method: The method that is used for product tracking purposes. This allows a merchant to know when the product was shipped and received. This tracking can also tell the merchant information about the product, including where the product was shipped. This can help the merchant understand buyer demographics further in the future. Traffic: The number of users that visit a website in a given time period. This is used to determine the number of users that click on a specific link on an advertiser’s page. Transaction: The financial tracking of money that transfers from one account to another account. This can be associated with a product sale or the transfer of money between advertiser, affiliate and publisher. Transaction Fee: The fee that is associated with the transfer of money between user, advertiser, affiliate or associate. Banks charge a fee to transfer funds via bank transfer or credit card that are usually paid by the merchant. Unique Visitors: The users that visit a webpage who have not visited the webpage previously. This is important in website publisher tracking. Most statistics analysis methods favor unique visitors over repeat visitors. Although, repeat visitors are important when it comes to ecommerce websites. URL: Otherwise known as uniform resource locator. The URL is the unique address of each website. This is specific to the World Wide Web, an HTML webpage or the address of a specific image. User Interface: When a human controls specific features of devices or websites, it is called a user interface. Value-Added Service: Otherwise known as VAS, value added service is a service that marketing teams can offer advertisers to help them increase their profits. These services simply add value to the preset contract terms. View Through: After a user views an ad and does not click through, this action is defined as a view through. Advertisers use this type of metric to determine which ads are not working and need to be refined. Visitor: A user who visits a webpage. The visitor is recorded in the webpage’s statistics to determine how many people visit a webpage on a daily, weekly and monthly basis. Webpage: One simple page of an entire website. A webpage can refer to a landing page, homepage, blog page or other page that is part of one website. Web-Based: When an application or a program can simply be used or accessed on the web, it is considered a web-based product. If the product or application must be downloaded to a computer, hard drive or database, it cannot be considered a web-based product or application. White Hat: SEO practices that are considered “good” and healthy for web searches. The opposite of this would be black hat SEO practices. Many companies stopped using black hat practices when Google updated its algorithm. White hat practices include backlinking, incorporating SEO-rich text into articles and including natural-sounding long-tail keywords into web pages. WWW: Otherwise known as World Wide Web, this is one part of the internet. Many people make the mistake of thinking that the World Wide Web and the internet are one in the same. WYSIWYG: Otherwise known as what you see is what you get, WYSIWYG is a web-based editor that publishers use to create content for the web. 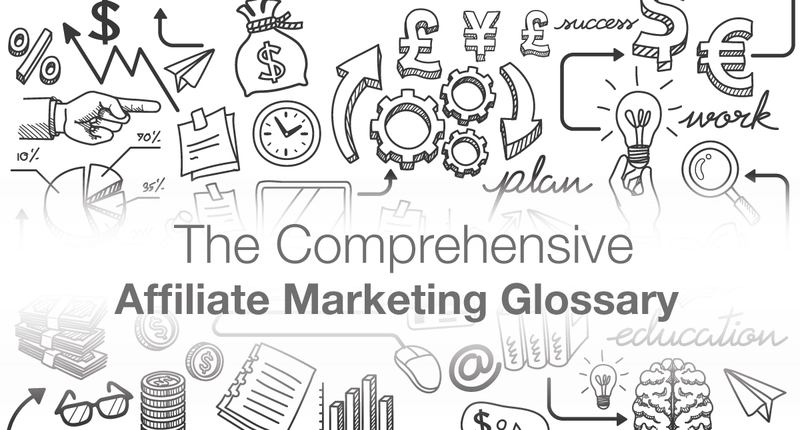 What To Know More About Affiliate Marketing? I have loads of great guides on affiliate marketing for you to get your teeth into. Check out some of the post listed below. Ready to Start Your Own Affiliate Website? If you’re thinking about taking the plunge and starting up your own affiliate website, then I’d recommend you take advantage of some training on how to do it properly and set up a money making online affiliate business that has a great chance of being successful. This affordable course from Michelle Schroeder-Gardner will show you how you can get up and running extremely quickly and with no affiliate marketing experience. 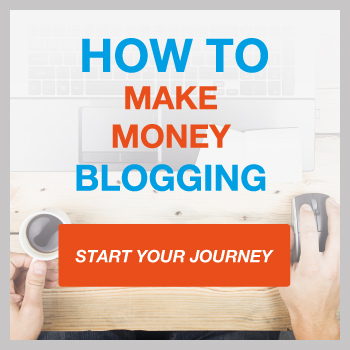 Michelle currently makes around $120,000 per month from affiliate marketing alone and has been featured in Forbes and various other publications, so she knows exactly what she is talking about. 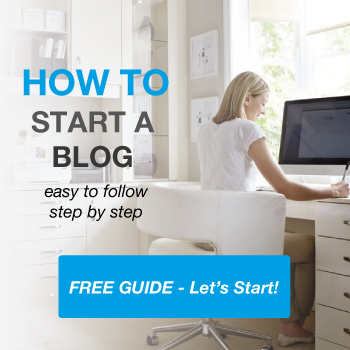 How To Get a Free Business Email Account and Set It Up In 5 Minutes. Wow! You went far and beyond with this one! This is a super valuable piece of information. A must-bookmark type of blog post. There is definitely a lot of new words and terms to be learned as a newbie online. When I first started my online journey, years ago, I had no idea what a lot of these were. I wish I had this super helpful guide back then.